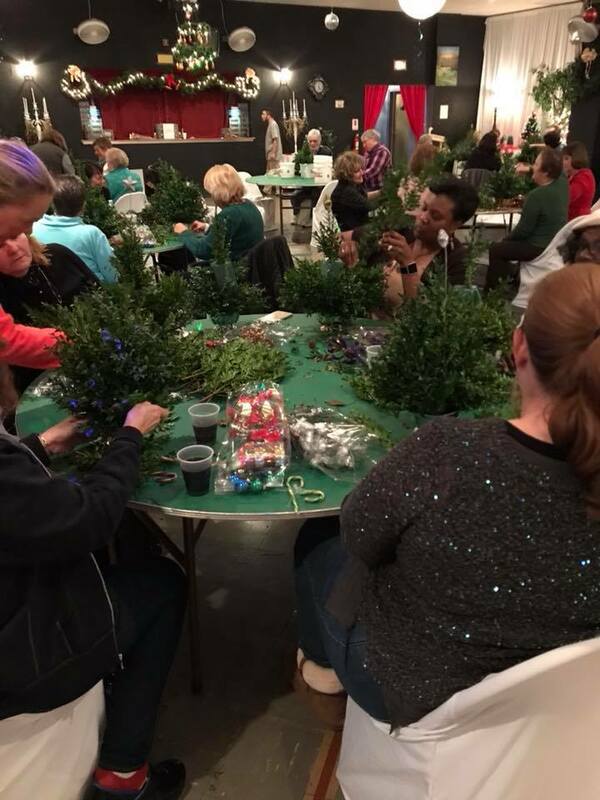 ​see photos from last year's class! 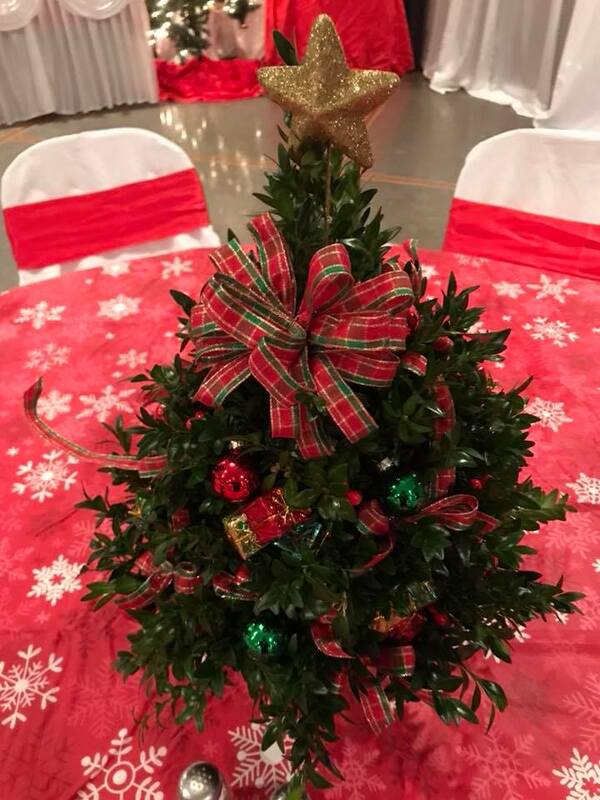 There is nothing like the beauty of a little holiday tree to liven up the holidays and this one decor will definitely rouse your room! 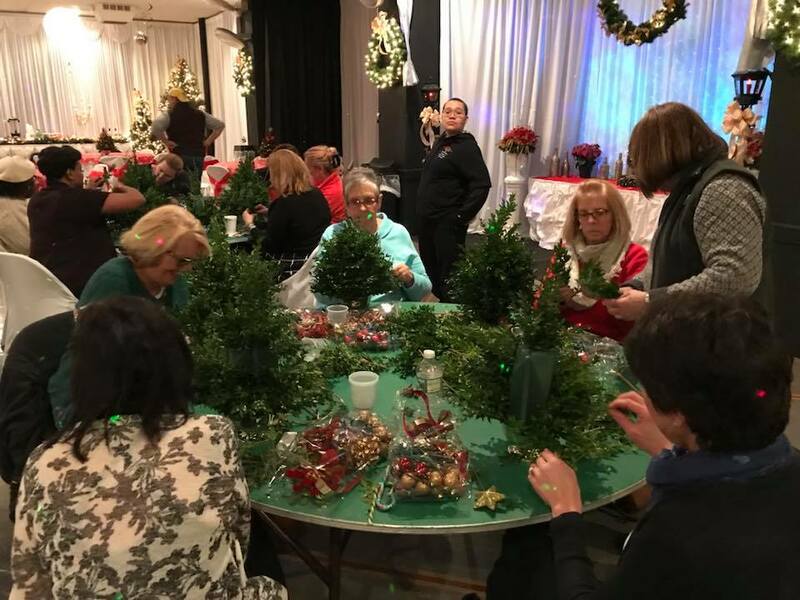 The St Ann Arts and Cultural Center, in conjunction with Ann Jalette from Vose True Value Hardware, is presenting two classes in making a traditional tabletop boxwood tree for the holidays. 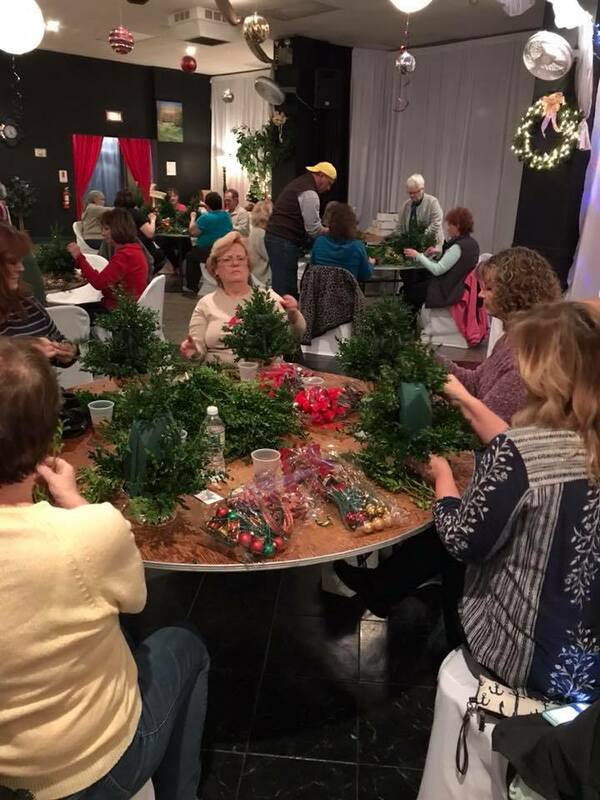 Using fresh English Boxwood, you will learn to assemble your own boxwood Christmas tree. 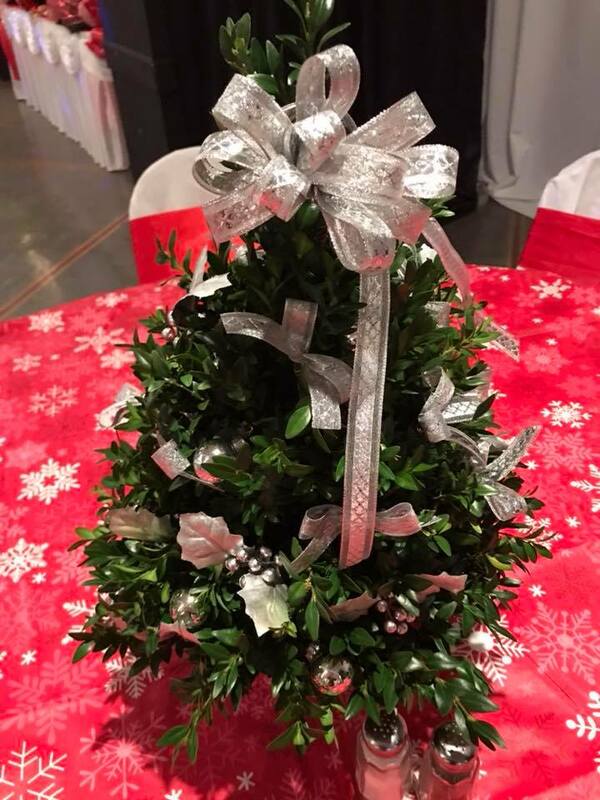 Once assembled, you will decorate your tree choosing from a variety of decorations to personalize your creation. 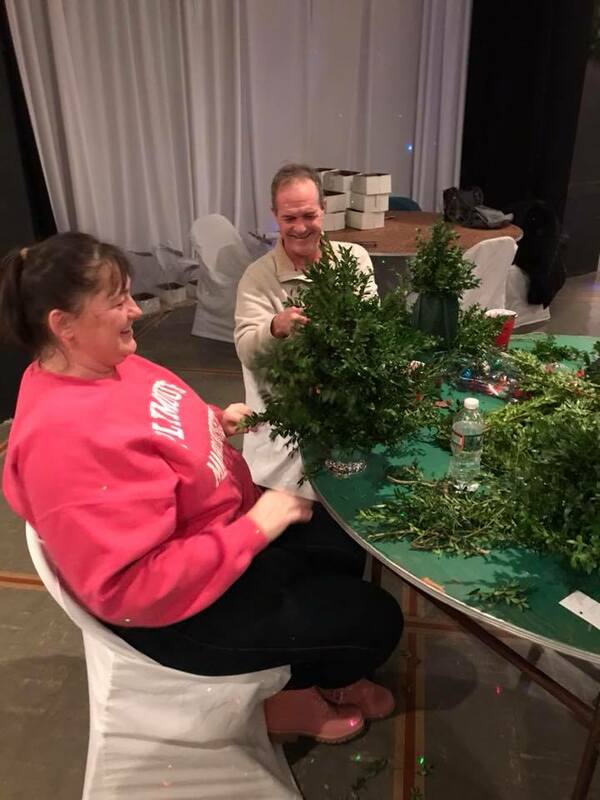 Once finished you will have a beautiful boxwood tree to take home with you. These popular and beautiful arrangements last up to 8 weeks and make the perfect gift. They are great for the home, office and school. 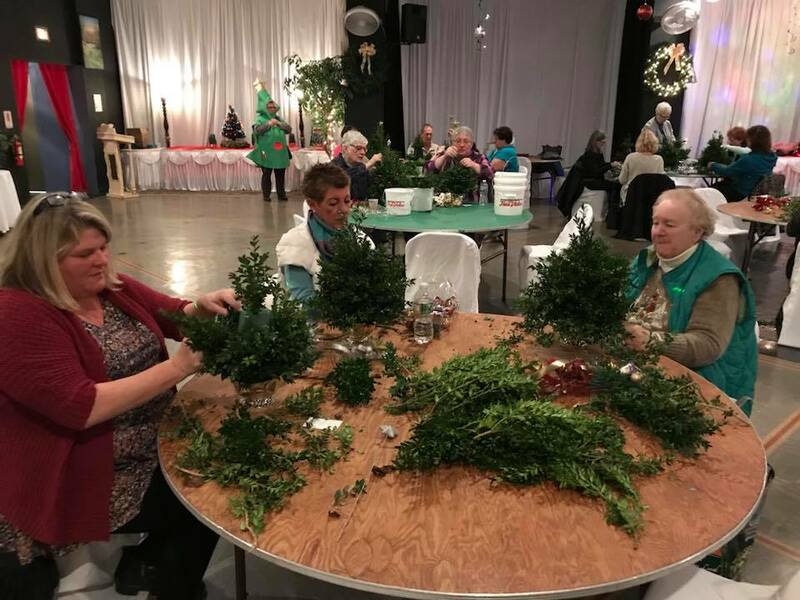 It promises to be a fun time out with plenty of holiday spirit, music, laughter, friends and good old fashion holiday cheer! 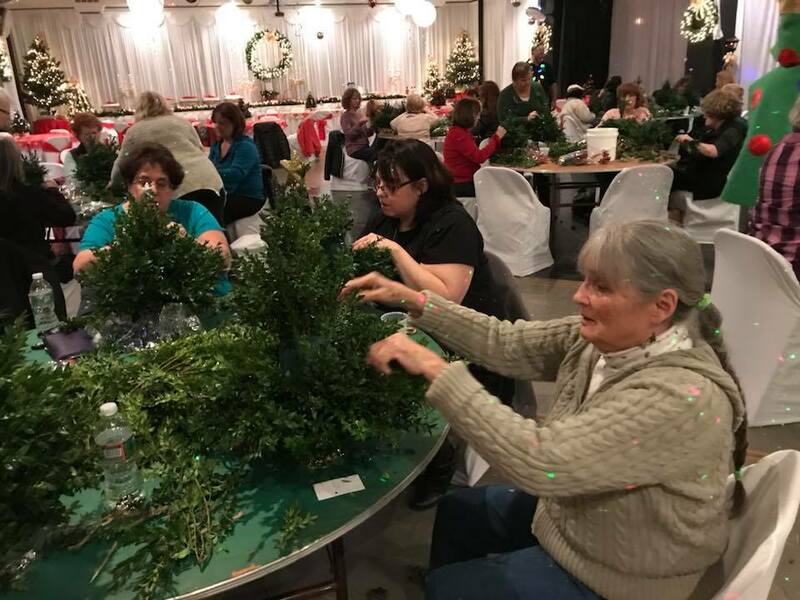 Cost includes buffet and supplies for creating your very own boxwood Christmas tree that can be taken home the same evening! Open to men and women ages 15-100! Class size is limited so register early! Mark's completed Boxwood tree from last year's class.